It's estimated that we spend about a third of our lives asleep – that's over 200,000 hours! So, you may want to share your bed, however, you do not want to share your covers. We spend so much time in bed that it's important to choose sheets that are comfortable and durable. With so many options available – from the type of cotton to an array of colors – it's easy to lose sleep over your decision! Rest assured that at DoubleUps for Beds, your linens are custom made with top-quality cotton fabric that is known for its softness, durability and natural comfort. The 200, 350, and 600 thread counts are all single ply, first quality 100% Organic cotton fabrics for luxury linens in a variety of colors. 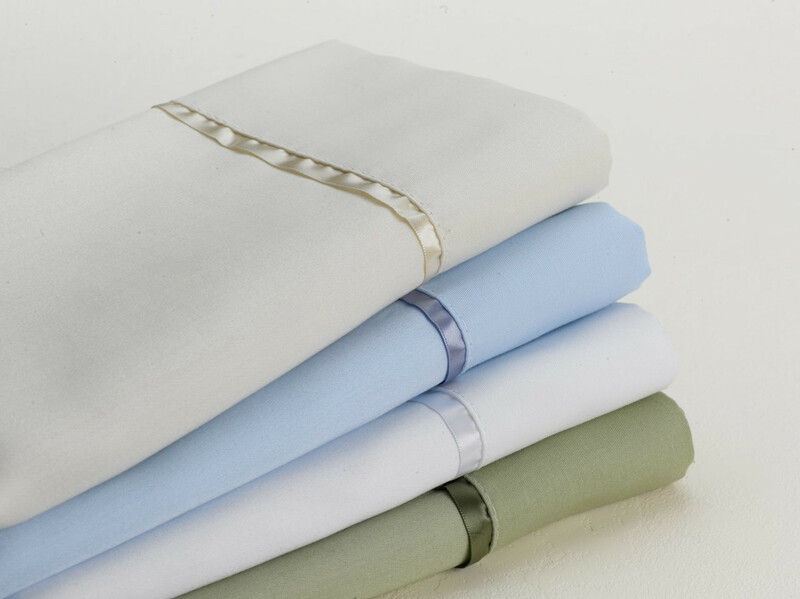 Top sheet and pillow cases are embellished with a coordinating satin or silk ribbon trim. Made in the USA. *Click on your bed type first, and then move through the choices to your desired selection. Do not find what you need, please contact our Custom Dept.